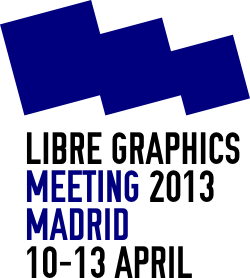 The Libre Graphic meeting 2013 is over! You can find links to images, videos and reports here. Libre Graphics Meeting 2014, the annual conference and workshop for users and makers of free software creative applications, will take place on April 2–5, in Leipzig, Germany. The event is open to anyone with an interest in open source graphics, design, and creative culture. Software developers and artists alike are invited to attend, and will be welcome to submit topics for presentations, hands-on workshops, and birds-of-a-feather sessions once the call for participation is officially opened. 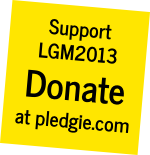 2014 will mark the ninth anniversary of LGM, the premiere gathering of the free software graphics community, drawing developers, users and supporters alike from across the globe. 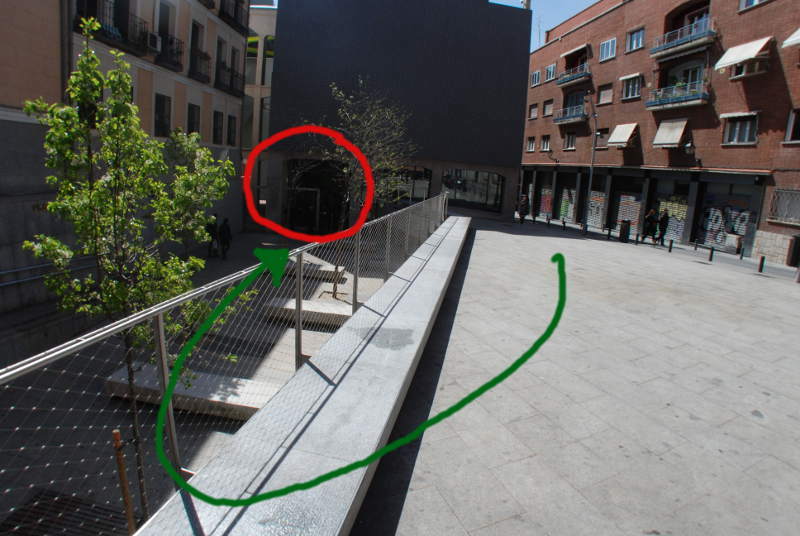 If you’re already in Madrid, you’re welcome to drop by at the LGM venue and say hello! There are still no signs marking the entry, so here a picture of the way to the big entry gate! What would you like to happen at LGM? LGM is above all an occasion for developers and designers to meet and discuss libre tools, technologies and ideas. Participation is free and registration is not required, but it is important for others to know if you’ll be there too, so please take a minute and sign up here. Except where otherwise stated, all the content CC-BY-SA Libre Graphics Meeting.